After discovering the role of brassicas such as canola as a natural soil fumigant in crop rotations, CSIRO is now developing this 'biofumigation' role to help with disease prevention. 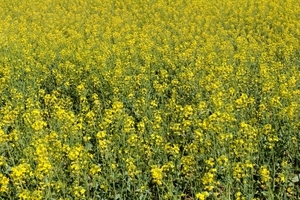 CSIRO also has an interest in changing the oil composition of various oilseeds. We are developing oilseed plants that produce healthier oils to improve human nutrition, and plants that contain new fatty acids for use as industrial raw materials in plastics.